I have an old Sanyo Xacti video camera which I use very rarely. Therefore every time I need the camera the battery is empty. 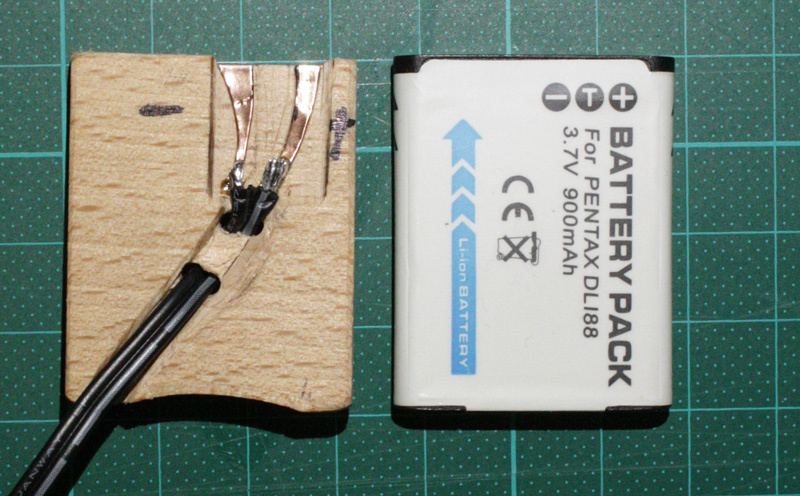 Since I use the camera mostly at home I built a dummy battery for the camera. This post is not meant as instruction but as suggestion how it could be done.